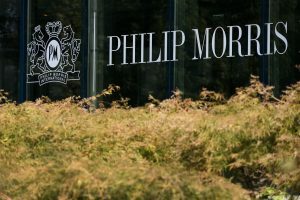 Philip Morris International stick plunged by 16% in the worst day the company has experienced since spinning off in 2008 from Altria. The share price drop came after PMI posted results for its latest quarter that were mixed and said growth of its heat-not-burn tobacco product IQOS had slowed in Japan. iQOS warms up tobacco to temperatures that are high enough for an aerosol to be emitted, but not enough for any combustion, the process that makes conventional cigarette smoking so harmful. It is crucial to the strategy of PMI for moving beyond the conventional cigarette. The product can now be purchased in over 30 markets. Japan has been touted by PMI as how much success iQOS could have. It is highly popular across the country, though during the just ended quarter, device sales slowed more than the company had expected, said CFO Martin King to analysts during a conference call following the results of earnings being released. The company ended the quarter with adjusted earnings of $1 a share, topping the per share estimates of 90 cents by analysts. PMI came up short of estimates for revenue of $7.03 billion as it posted $6.90 million. PMI had been anticipating growth in the market would plateau during 2018, because the company was aware it was nearing a saturation point for early adopters. However, it came earlier this year than was foreseen, but that is not unusual, said the CFO. The PMI CFO said the company does not know what the length of the plateau will be, but will adjust accordingly including speeding up initiatives to earlier in 2018 and adjust its messages to consumers. Since it launched in the latter part of 2014 in Japan, PMI has grown to a market share of 16%, which the CFO called absolutely phenomenal. Because the company is not seeing any surge in sales of devices, then sales of heatsticks, the tobacco sticks inside the iQOS device, will likely be lower as well, than was forecasted at the end of 2018. If the situation persists in Japan, he added, the volume of sales would likely be closer to between 55 billion and 60 billion rather than the previously released estimate of 60 billion. Currently PMI is waiting for the U.S. Food & Drug Administration to make a decision on whether it can sell the iQOS and promote it as being a less risky option to conventional cigarettes.